Mostly oneshots of mortals meeting demigods, Although not all of them will be mortals. By the way I don't own Percy Jackson, that honour goes to Rick Riordan. This is a collection of short stories where mortals meet the demigods. And Calypso. This is a rewrite of the original When Mortals Meet. I wrote the original story under my old name NicknamedSuzie. 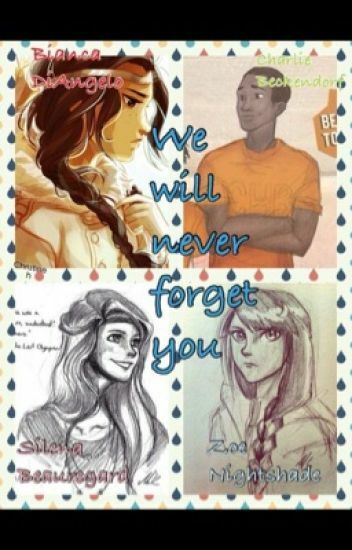 I do not own the characters from the books because I am not Rick Riordan. I do not own the cover image, all credit goes to Viria13. I just added text. Just some people, mortal and demigod, watching moments in a demigod's life. Mainly Percabeth, however many other couples as well. I do a lot of Thalico, so if you dont like it, I wouldnt read it. I also do Leyna, but I would do a Caleo if requested. In which mortals know the Olympians exist and/or meet some of our favorite characters. Do I know these have been over done? Totally. Do I care.? Nope! This is going to have all my favorite couples and demigods meeting mortals or demigods. P.S. They are not in order. The mist is a magical veil that covers the demigod world from the mortals. That is...until now. Hecate, Goddess of Magic and the mist has faded which caused the mist to disappear. Read and find out how the demigods reveal themselves to the mortals. Hectate is sick, and the mist has been removed. So demigods must survive with mortals. Disclaimer- I do not own the characters or the series. I'm not a male. I'm not that old. My name is not Rick Riordan. Not as many people want to throw me into Tartarus to see how I like it.